Former world #2 Kento Momota has been entered in the 2017 Canada Open Grand Prix, which will be his first international tournament since he withdrew from last year’s Malaysia Open. 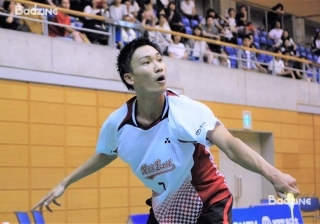 In April 2016, Kento Momota (pictured) withdrew from the Malaysia Open Superseries to return home and face disciplinary action for gambling in illegal casinos. The decision of the Nippon Badminton Association (NBA) at the time was to suspend Momota indefinitely and the then world #2 was promptly removed from the world ranking lists and denied the right to represent his country at the Rio Olympic Games. Late last month, Momota played and won a domestic event in Saitama and today his name appeared on the entry list for next month’s Canada Open. With 0 world ranking points, he was #23 among 30 slated to play the qualification rounds to earn admission to the 64-player main draw in men’s singles. It will be Momota’s third appearance at Canada’s premier badminton event. He played there twice as a junior athlete and the two Europeans who beat him in those previous occasions – Henri Hurskainen and Pablo Abian – will also be in attendance this year, as will India’s H. S. Prannoy, the last player Momota faced in international badminton. Momota is actually one of four former top ten men’s singles players entered in the Grand Prix event in Calgary. Former world #1 and 2014 champion Lee Hyun Il is on the list, as are Vietnam’s Nguyen Tien Minh and Kashyap Parupalli. Lee Hyun Il is not the only 2014 champion from Korea named Lee who is set to return. 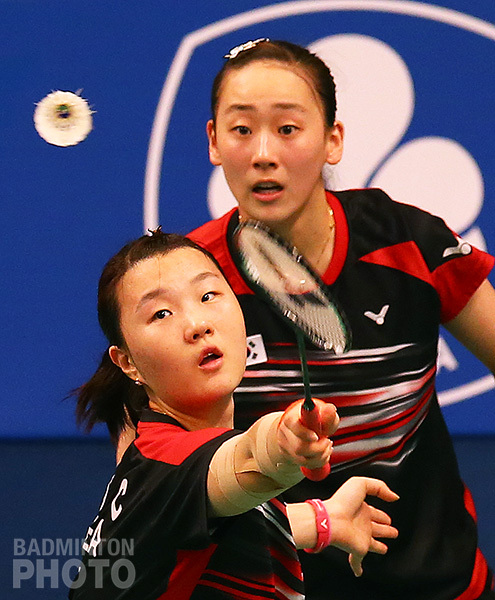 All England champion Lee So Hee, who won her first Grand Prix title here three years ago with her former high school team-mate Choi Hye In, is on the list for 2017 with yet another former partner as she and Shin Seung Chan (pictured right) are slated to play together for only the second time since the 2015 World Championships. For the most part, the strong Korean contingent will consist of the nation’s very capable second string players but in addition to the Lee and Shin, Korea’s top mixed pair Choi/Chae are on the list, as is former mixed doubles world #1 Kim Ha Na, who is set to play with Seo Seung Jae. Seo and Kim will debut at the Chinese Taipei Open a few weeks earlier, where Seo will also have his first outing with Kim Won Ho in men’s doubles since their one appearance at the Sudirman Cup. Men’s singles is the only event where the defending champion is not set to return. Three-time women’s singles champion Michelle Li, as will last year’s runner-up Zhang Beiwen, who was unable to play the final in 2016. Last year’s doubles champions Manu Attri / B. Sumeeth Reddy, Setyana Mapasa / Gronya Somerville, and Do Tuan Duc / Pham Nhu Thao of Vietnam will all be there. Two of Indonesia’s former women’s singles aces are entered in the Canada Open as well. Bellaetrix Manuputty is set to begin her comeback next week in mixed doubles at the Indonesia Open but in Canada, she is to team up with former Australian Open winner Aprilsasi Putri Lejarsar Variella in women’s doubles. Manuputty had an aborted comeback in late 2015 after she had suffered a painful knee injury at 2015 Sudirman Cup earlier that year. Former Australian Open women’s singles winner Maria Febe Kusumastuti is in the qualifying draw for women’s doubles with Canada’s Chloe Rowe but she is on the reserve list for women’s singles and mixed doubles.